Mostly we find it difficult to invest our hard earned money in stock market because of unexpected returns. If you have ever invested directly in stocks you may find them sometime in red and sometime in green depending upon the price it trades. For a layman, all equity research analysts suggest to invest via Mutual Fund, where money in stock market will be invested by well qualified financial analysts & decision maker known as Fund Managers. 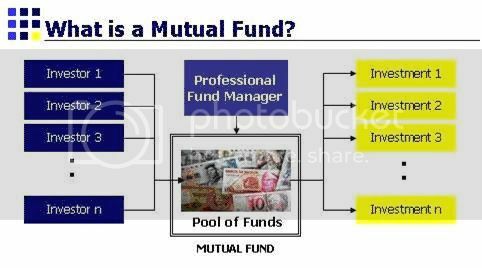 Infact, Mutual Fund selection is not so simple now a days because of so many players available in MF industry offering different type of funds. Funds like Balance Fund, Debt Fund, Equity Funds, open ended fund, close ended fund etc. If we are not having clear understanding we could not be able to select the Fund in which we wants to invest. If a person wants to invest in equity market (stocks/shares) via MF route, he needs to select an Equity Fund. Equity Fund invests majorly in stocks and comes under high risk high return category. Risk is always associated to equity funds as these funds invests in stock market. To minimize risks we can select Balance Funds, Balance Funds are a mix of Equity and Debentures. Other Debenture Funds are also available in market which are safer but yield limited returns. Debenture Funds invest in Govt saving Instruments like bonds which offer limited returns on investment with minimal risk factor.